Following the runaway success of her stunning rendition of Pride and Prejudice, award-winning narrator Alison Larkin returns - breathing new life into Jane Austen's Emma. Celebrating the 200th anniversary of the book, Larkin - a witty and always original voice - is the perfect vessel to bring this classically satirical novel to a new audience. 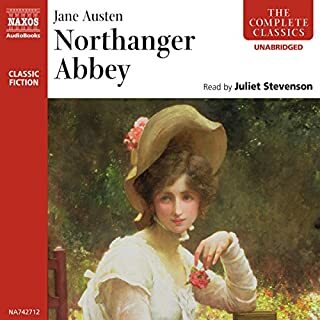 A fresh and hugely entertaining listen, Larkin, also an acclaimed comedienne and the best-selling author of The English American, joins her voice deftly with Austen's clever style and the result is pure, boundless fun. Best Jane Austen narration I have ever heard! If you could sum up Emma - The 200th Anniversary Audio Edition in three words, what would they be? What other book might you compare Emma - The 200th Anniversary Audio Edition to and why? 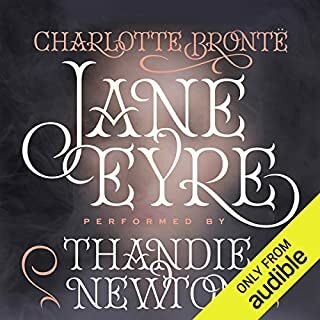 I have not enjoyed an audio book as much since I listened to Larkin's performance of Pride and Prejudice. What about Alison Larkin’s performance did you like? Often narrations of Jane Austen novels are earnest. She was not meant to be read in that way. She was meant to be read with lightness and wit - and depth. Larkin brings all this and more. Larkin is able to channel Jane Austen in a way that breathes new life into this already amazing book. Her reading brings this 200 year-old classic to life in a way that makes me love the book more than ever before. A brilliantly good listen! Would you listen to Emma - The 200th Anniversary Audio Edition again? Why? Alison Larkin brings new life and fun to one of Jane Austen's greatest stories. Perhaps because Larkin was raised in England and trained as an actress who has appeared in London and Broadway she is able to add a new and more dramatic interest to this wonderful tale. Because she is a best selling author herself, Larkin also knows how to build the narrative and bring out all the wit and emotional every word and scene. I had never realized how much fun Jane Austen could be--and how relevant many of the situations were to the modern world today. Larkin has a way of making us interested in all the characters and every turn of the plot. Larkin imbues every word with a meaning and and every character with an authentic accent that involves us and makes us a kind of eager participant in Austen's wonderful world.. I wanted to listen to this book in one sitting, but had to come back to it a couple of times. Each time I was immediately immersed in this great creation by Larkin's unique ability to bring new life to such a classic tale. Every fan of Jane Austen will love Larkin's narration of her work! 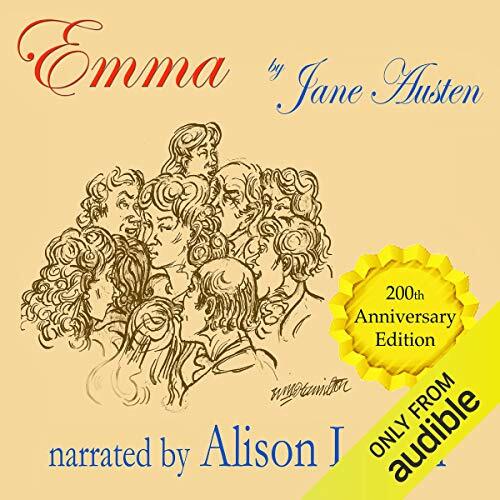 What was one of the most memorable moments of Emma - The 200th Anniversary Audio Edition? There are so many it is hard to pick one, but certainly the moment when Emma realizes who she is in love with. What does Alison Larkin bring to the story that you wouldn’t experience if you just read the book? Characterizations that are so convincing you feel like you are there. There's a lightness to her reading that makes it a pleasure to listen to at all times. Jane Austen is deeply funny - as well as moving and true. All these adjectives apply to Larkin's narration. I also really like the fact that one of my favorite New Yorker cartoonists designed the cover. The moment when Emma realizes who she is in love with. I came to this one after hearing Alison Larkin read Pride and Prejudice. She does an equally stunning job here. She has a gift for bringing out the wit and intelligence in Jane Austen who is sometimes read in far too serious a manner. I can't recommend it highly enough. I am a Jane Austen lover and really enjoyed this performance. The voice is cheerful enough to capture Emma's overall energy. The slight variations of intonation for the characters in general are well balanced and add to the narration. I particularly enjoy Mrs Elton's snobbery, Miss Bates' scattered speech and Mr Woodhouse's hypochondriac tone. Recommended! 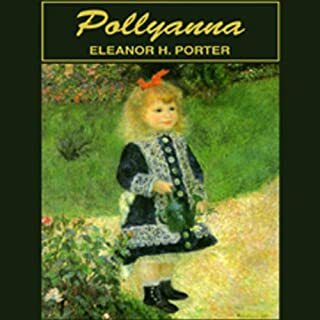 Beautifully narrated by Alison Larkin, who brings Emma alive. While not on a par with Pride and Prejudice, also beautifully narrated by Ms. Larkin, the inhabitants of High Bridge become old and beloved friends. I highly recommend this recording. Very good narration. The only thing off-putting was the timbre of the narrator's voicing of the main character. The higher pitch grated on me after a while. I am so impressed with Alison Larkins performance in this book! I love audio books, but she takes the experience to another level. I honestly couldn’t finish - I hate to use this word, but narrator was positively shrill. I can’t believe this one was in honor of 200 years - thankfully the story remains as perfect as ever. I thought I wouldn't like one person being the voice of every character, but this was so well done! A fabulous rendition of a wonderful classic. I truly love this story and the excellent narration made it even better! 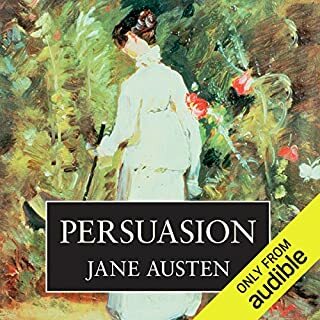 Jane Austen at her best with the best narration! 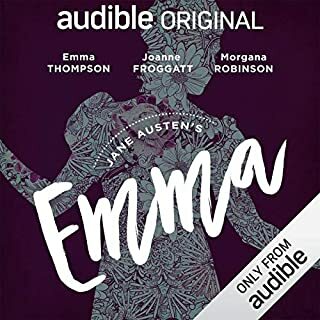 Would you consider the audio edition of Emma to be better than the print version? Jane Austen and Alison Larkin are at their best together! Larkin is able to bring out all the wit and fun and laughter--as well as the inherent drama in this classic story. I had forgotten how relevant so much of this novel is to many of the emotions and situations we experience today. Get ready for a great listen that will remind you of how amazing things happen when two talents meet! The new life that Larkin is able to bring to this great Jane Austen story. Have you listened to any of Alison Larkin’s other performances? How does this one compare? Larkin is a trained actress who has appeared in London and on Broadway and that gives her an ability to bring out the drama in every character and deliver every sentence with its full meaning. In addition, as a best selling writer herself, she knows how to build the narrative and deliver just the right amount of excitement to every scene. I like to listen to it at every chance I got--but it took me several times because I didn't want to miss a word! Larkin brings out the best in Jane Austen. If you love Jane Austen you will love this experience!